cap screws to 137 to 147 ft lb (186 to 199 N·m). 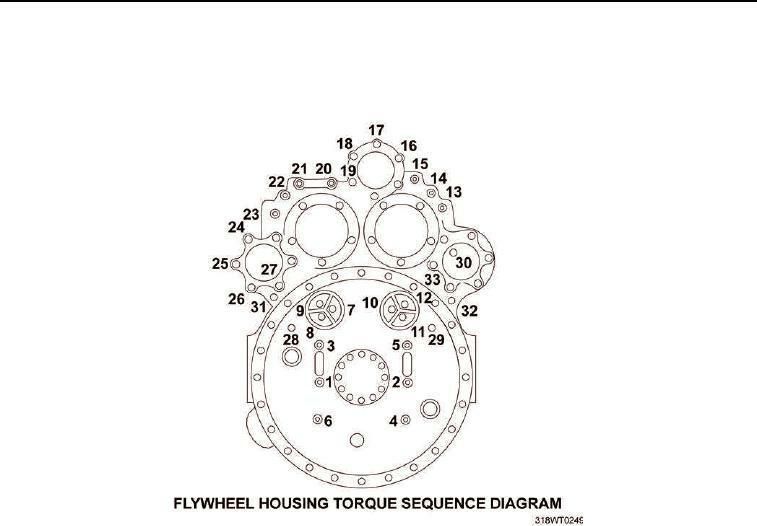 Install new gasket (Figure 29, Item 3) on flywheel housing (Figure 29, Item 1). Install access cover (Figure 29, Item 4) on flywheel housing (Figure 29, Item 1). (Figure 29, Item 4) and gasket (Figure 29, Item 3). Install five cap screws (Figure 29, Item 6) and lockwashers (Figure 29, Item 5).